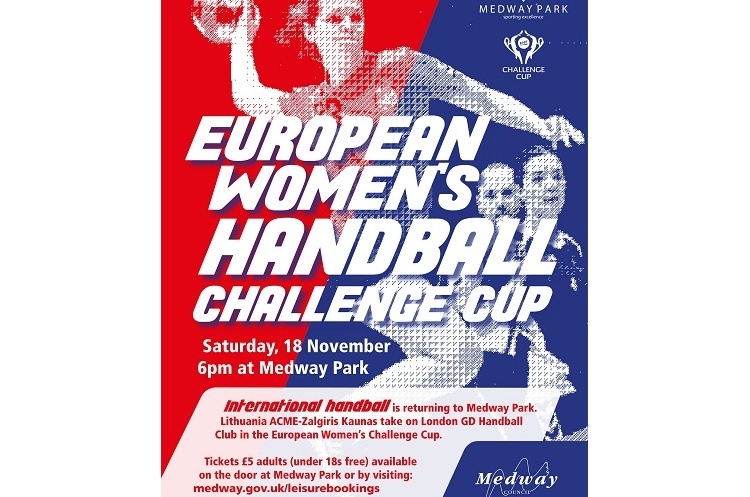 London GD women’s team will play their EHF Challenge Cup third-round home leg against ACME-Zalgiris Kaunas of Lithuania at Medway Park on 18 November. It is the second time Medway Park has hosted European club competition. The Gillingham venue staged Olympia women’s Challenge Cup third-round match against Swiss side LK Zug last year. Tickets go on sale from 18 October and cost £5 for adults. Under-18s go free. Tickets can be purchased by visiting medway.gov.uk/leisurebookings or by paying on the door. It is a great chance to watch European competition in the flesh, and check out the most exciting, high scoring, action packed, contact, team sport. Love the sport, share the excitement, be a fan.